Former NSW premier Mike Baird won't talk about running for the top job at NAB, but plenty of others are linking him with the role. 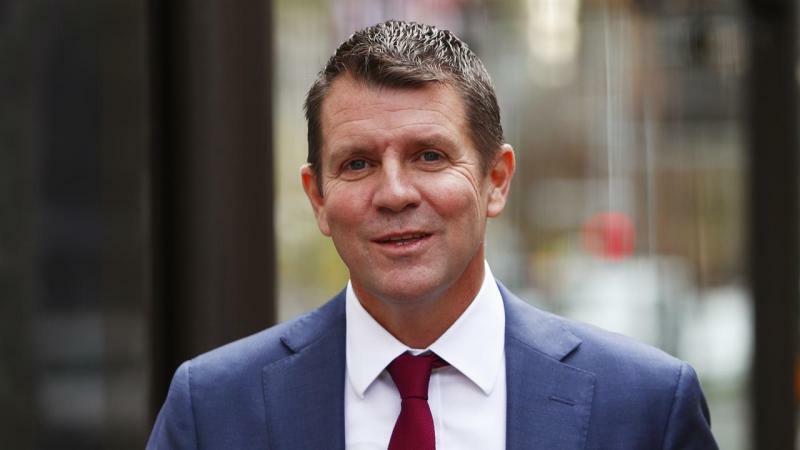 Mr Baird on Friday refused to be drawn on speculation he was among the frontrunners to replace Andrew Thorburn, who has resigned after his leadership was criticised by royal commissioner Kenneth Hayne. Asked repeatedly if would be throwing his hat into the ring, Mr Baird replied "no comment". "I'm not going to talk about that," Mr Baird, NAB's consumer bank boss, told Seven's Sunrise. "I got a big job to do and I will do it." But UBS analyst Jon Mott said Mr Baird - who began his banking career in 1989 at NAB's St Ives branch before entering politics - was a real contender. "We believe NAB has a number of solid internal candidates for CEO, with Mike Baird a lead contender in our view," Mr Mott wrote in a note to analysts. Mr Baird has been talked of as a future CEO since Mr Thorburn hired him in 2017, six weeks after he surprisingly quit the NSW premiership and politics in general to spend more time with his family. 2GB Radio host Alan Jones said this week that Mr Baird, "would be a very good CEO", while current NSW Premier and Mr Baird's former treasurer Gladys Berejiklian called him "an outstanding individual". Mr Baird, NAB's head of retail banking, said on Friday he was "very proud" of having worked for Mr Thorburn. "Andrew has the highest integrity of anyone I have ever worked with," he said. "He is an amazing man and he has done a great job. "Clearly, there are some things that have not gone well but at the moment, we think he is a great leader ... and we need to get back to work." Mr Mott said he expects Phil Chronican, who has been appointed as interim CEO until March 1, to take over as chairman to replace the departing Ken Henry. Mr Thorburn and Dr Henry, a former head of Treasury, announced they were stepping down on Thursday after a scathing critique by the financial services royal commission. Mr Thorburn, who was chief executive since August 2014, had been keen to continue but recognised the NAB board's "desire for change". "I accept that. I don't have bitterness about it," Mr Thorburn said on Thursday. "Mainly I've been sad, but I don't have bitterness." Dr Henry, whose brusque demeanour during questioning was one of the enduring images of the royal commission, said he has reflected in recent times on NAB's "inability as a company to meet community expectations and customer expectations in the manner we would aspire to."